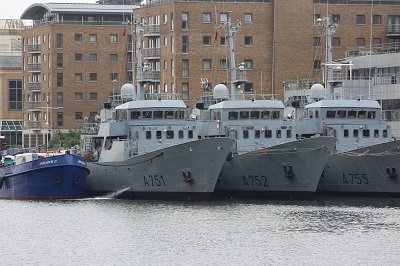 After the arrival of three training ships of the French Navy, Léopard (A 748), Panthère (A 749) and Lion (A 755) yesterday, we have two more ships arriving to with the Lynx (A751) and Guépard (A752. 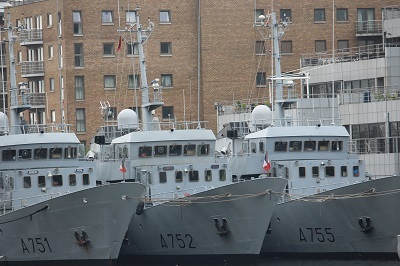 All the ships are Léopard-class training ships which are used for navigational and practical training of potential French officers. 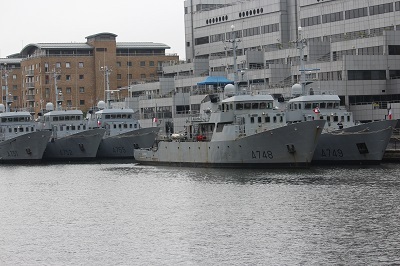 In the 1970s, the French Navy decided to build eight vessels to provide practical training in the operation and navigation of naval vessels. 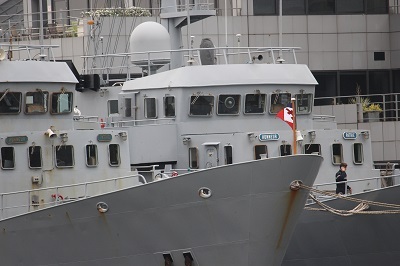 Lion and Lynx were built by La Perrière in Lorient, and Panthere, Guepard and Leopard were built by Ateliers et Chantiers de la Manche (ACM) in Saint-Malo in the early 1980s. Still in the dock is the Marienborgh yacht, so for a short time we have interest in the dock rather than watching the various developments moving higher and higher. 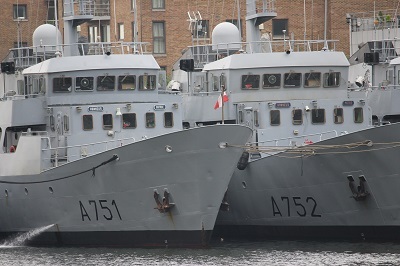 It is not often we have five naval ships in the dock, hopefully they will be here for a little while. By isleofdogslife in Dock Life on June 1, 2018 .